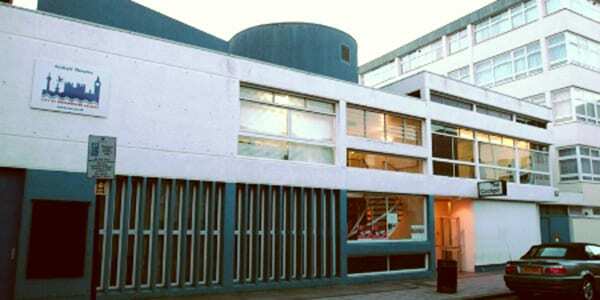 The Cockpit Theatre was constructed by the inner London Education Authority in 1969-70; the first theatre in the round built since the Great Fire of London. Ownership of the theatre transferred to the London Borough of Westminster after the ILEA was disbanded. Shortly afterward, The Cockpit was made part of the City of Westminster College. For a short period of time (between 1993-1995) its resident company was the Soho Theatre Company. In 2011, the City of Westminster College moved to a new main building, leaving The Cockpit to operate as a full-time theatre. As well as its theatrical productions, The Cockpit hosts regular classes and workshops in performing skills and technical theatre skills, making the space popular with youth groups and drama schools. The Cockpit hosts a night called Theatre in the Pound, a not for profit evening showcasing new writing, drama, and cabaret. The theatre (and its 3 studio spaces) is available for hire.